The Uganda People’s Congress party faction chairperson for Lira District Dr Dan Okello has proposed a Presidential Amnesty Act as a reward for President Museveni’s supposedly early retirement. 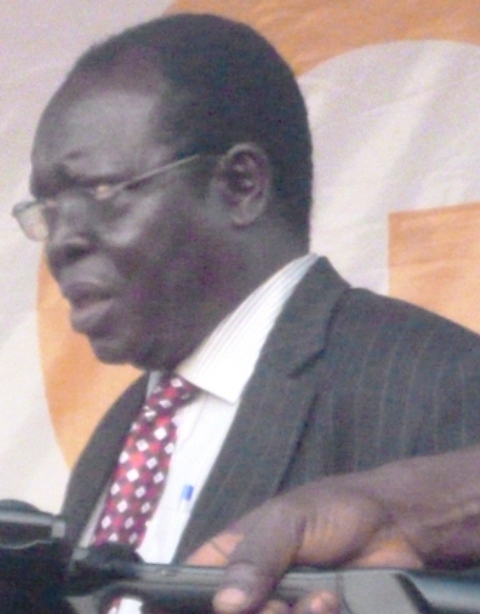 Okello’s proposal which he said is also an advice to the National Resistance Movement party members comes at the time when some NRM MPs and Ministers agreed to the lifting of the Presidential Age Limits. Should the Presidential Age Limits be amended from the constitution which limits any President from contesting for the national leadership at 75 and above, President Yoweri Museveni is likely to heed to demands mainly from the ruling NRM party to contest for his sixth term in office. According to the advocates of the lifting of the Age Limits, President Museveni’s leadership is still needed to sustain the peace and development the country has been enjoying for many years now. However, to Dan Okello, the NRM should instead work on a Presidential Amnesty Bill which he said, shall constitutionally protect the President from any legal battles when he peacefully retires from power. .Okello while explaining further the benefits of the Amnesty said, when passed in Parliament, shall also protect any other future Presidents. Uganda already has an Amnesty law where many people especially those who committed criminal offences usually of political nature and threatened the sovereignty of the government, have been set free and even rehabilitated. Efforts to get comments from Government Spokesperson Ofwono Opondo were not possible as his known phone number went unanswered.